The straight border tile for MARINAS Border to match HABANERO "Vivo" Cuban cement tile. Be sure to order your corner pieces and always order extras of both border tiles and corner tiles. 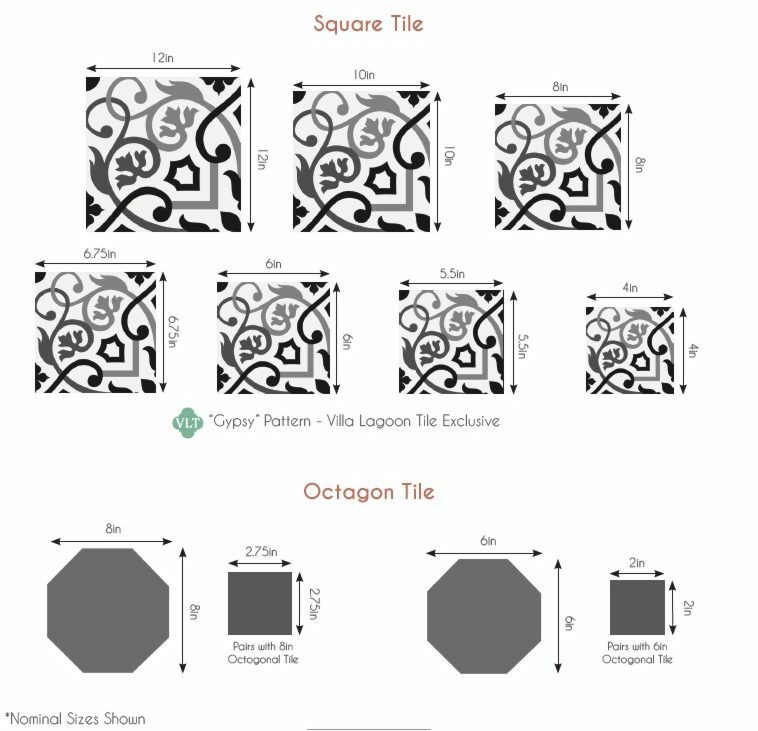 This MARINAS border gives the perfect finished edging for the HABANERO "Vivo" pattern field tile, it has the look of three separate borders all in one 8" x 8" cement tile. Finish with a row or two of solid color cement tiles.